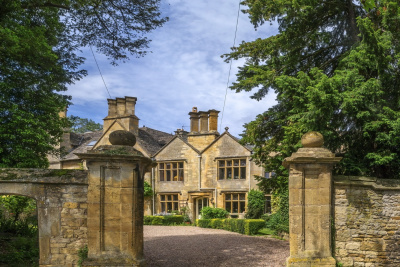 Properties near a large and impressive house previously occupied by an aristocratic family typically cost £319,203 compared to a county average of £277,990 in May 2015. Being near Highclere Castle in Newbury, which is the setting of Downton Abbey, commanded a 44% premium of £155,532. Martin Ellis, housing economist at Halifax, said: "Stately homes are not only attractive place to visit but, as our research shows, desirable places to live near to. "Since 2005 the average house price growth in areas close to stately homes has been more than double the national figure." The highest premium for being near a stately home was near Kenwood House in Hampstead Heath, where homes typically set you back £770,023, a 120% premium on the county average. Other areas commanding serious premiums were Ham House in Richmond upon Thames (£513,918 or 116%) and Ightham Mote in Sevenoaks (£231,230 or 82%). Property owners close to stately homes have seen their prices rocket by £89,506 over the past decade from £229,697 in 2005 to £319,203 in 2015. Not every area near a stately home commanded a premium however, as near Wimpole Hall in Royston prices were typically around £50,000 (-13%) lower than in Hertfordshire. The least expensive areas around stately homes were up North, as average property prices were cheapest around Auckland Castle in Bishop Auckland at £104,391.